Because they see no prospects of getting ahead at home in rural Mali, many young people are migrating to the cities, goldmines or abroad. A project called “Jigitugu” (“Fulfilling Hopes”) supports farmer training and recommends agricultural strategies to match market demands. This project is funded by the Liechtenstein Development Service (LED). Over the course of history, the inhabitants of the semi-arid Sahel developed agricultural techniques and forms of production suitable for a climate that receives just a little over 1,000 millimeters of precipitation per year. Their crops sufficed to feed their families in normal years. But conditions are abnormal now. Climate change has thrown them off balance. The onset and duration of the rains have become unpredictable. And the rainfall is often insufficient, which undermines food security. Provisions are often insufficient to tide the family over till the next harvest. Even cotton growing, a mainstay for all the smallholders in the region, has become problematic. 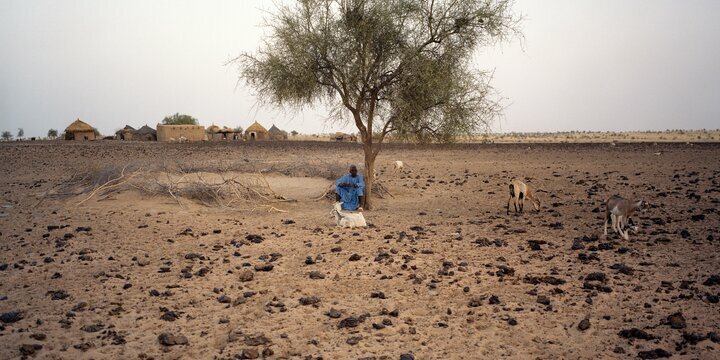 The adjacent southern regions of Mali have similar problems to contend with. Many young people migrate to the cities, goldmines or abroad because they are unemployed and see no prospects of getting ahead in agriculture anymore. In a project called “Jigitugu” (“Fulfilling Hopes”) Helvetas is helping to improve farming in both countries. Young farmers receive training in agricultural occupations, including everything from organic farming and marketing new kinds of vegetables to poultry farming. Established farming methods are being modernized as production is geared to match local or regional markets. There are regional and even international prospects in the market for shea butter, for instance, a traditional skin care product made from the fruit of the shea tree. And there is growing demand among the urban middle class for fonio, an old drought-resistant cereal. With the extra income, young people here have gained a newfound self-confidence. They have come to realize the dynamic development potential in agriculture. And they are experiencing first-hand that it can better the lives of their families and their community as a whole.